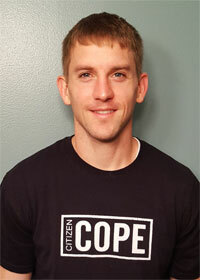 Adam has been a massage therapist since 2011. He graduated from Center Point Massage and Shiatsu School and specializes in trigger point release and deep tissue therapy. His therapies compliment the chiropractic treatment to help patient’s achieve relief from their pain and tension. Adam also enjoys performing relaxation massages to help people of all ages decompress from the everyday wear and tear. He has also been an athlete all his life and understands that muscle and joint health is vital to any athlete’s peak performance. Adam grew up in a small town called Askov, MN which is a few hours north of the twin cities. He always knew that he wanted a career that involved helping people feel their best and he found his calling with massage after changing his major at St. Cloud State University. Adam’s hobbies include reading, playing guitar and exercise. He lives in Bloomington with his wife and son. Adam is here Monday through Friday.